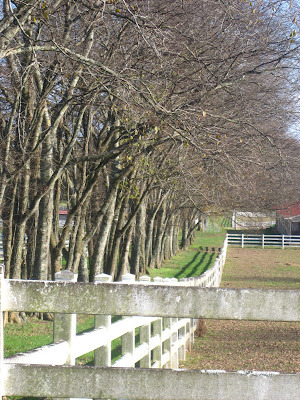 Leiper's Fork is a historic village located within rural Franklin TN. Many buyers think Leiper's Fork is a stand alone city in Tennessee. It's actually an area of Franklin in the 37064 zip code. Much of Leiper's Fork is protected by a Land Trust making Leiper's Fork the most desirable acreage available in Wlliamson County, Tennessee. Many country music stars call Leiper's Fork home. With the availability of unique homes and large acreage, it's easy to see why locals aspire to live here. Looking for a Home in Leiper's Fork? Interested in Leiper's Fork homes for sale in Franklin TN? Click the link to find all the currently available homes. Leiper's Fork is a small community (the village) within a larger community (Franklin). The village is lined with art galleries, shops and eateries. You will find a variety of homes here from small one-levels to large estates with horse property. Most homes will be on five acres or more. Many tourists visit this location to get a glympse of Keith Urban, Nicole Kidman or Vince Gil but the locals come here for the laid back living and small, tightly-knit community. Leiper's Fork provides the peace and tranquility of the countryside while just being a short drive to Nashville and Franklin. However, you will find some of the best art galleries and the well-known Puckett's Grocery located within Leiper's Fork. Puckett's offers live entertainment. You never know who you might see visiting this well-known establishment. During the summer the Lawn Chair Theater hosts outdoor movie presentations. But don't be surprised to see some of it's famous residents hosting an impromptu concert some night. If you are interested in Leiper's Fork homes for sale in Franklin TN, click on the link. This is a direct feed from the local Multiple Listing Service (MLS) and is updated several times per day. Or for assistance finding a Leiper's Fork home, contact Tammie White of Franklin Homes Realty LLC at (615) 495-0752. Are Your Franklin TN Market Reports Accurate?